This elegant shawl with marvellous details will be a very fancy addition to your autumn outfit… any autumn outfit. Although the pattern may look complicated, it is very easy to follow and is highly repeatable. 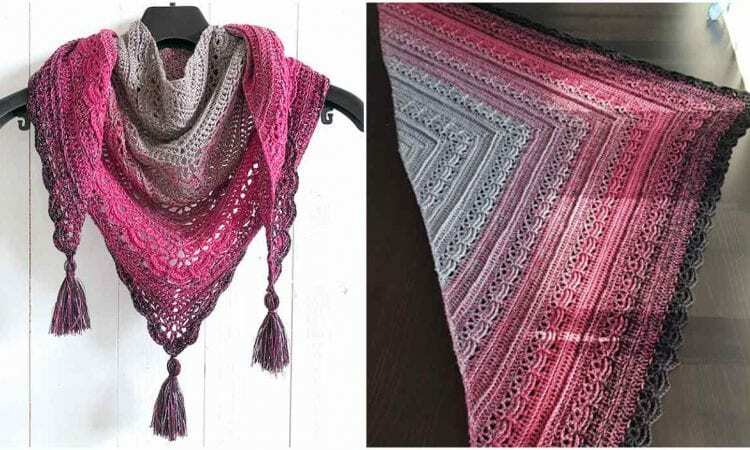 If the pattern is repeated after 10 rows, the finished shawl will be 60cm/23.5” in height and 145cm/57” wide when lying flat. A link to the free pattern is below. I just started my second one and it will be bigger than the first. I will repeat rows 7 – 16 more than a few times until it’s BIG!